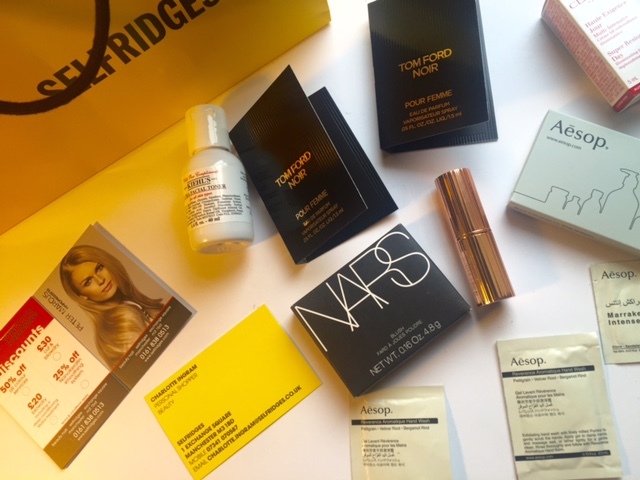 If you read my last post you will know that I was lucky enough to check out the new personal shopping experience in the beauty haul of Selfridges Exchange store Manchester. As a little Thank you for reviewing their new service I was kindly given a little gift bag to take away. I always love a goodie bag as you find a few little samples that can turn in to something you will love ! 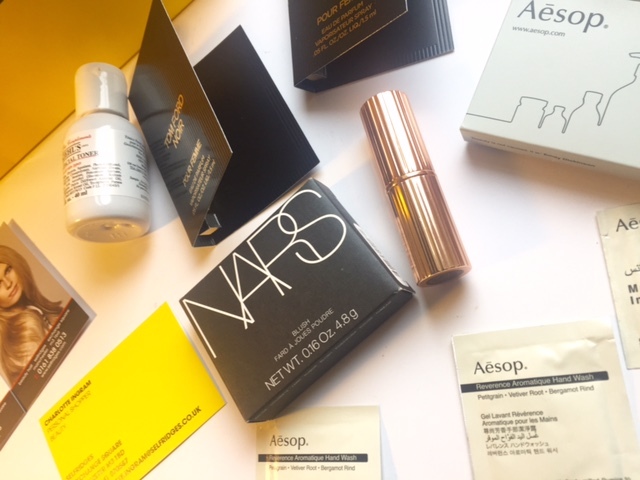 This one was not a disappointment as it was filled with little samples that I had never tried before such as a Kheils Toner, some Tom Ford Noir perfume samples and a few bits from new brand Aesop. I tried out Aesop whilst in Selfridges and the products smelt amazing so I would really recommend for you to check them out :). 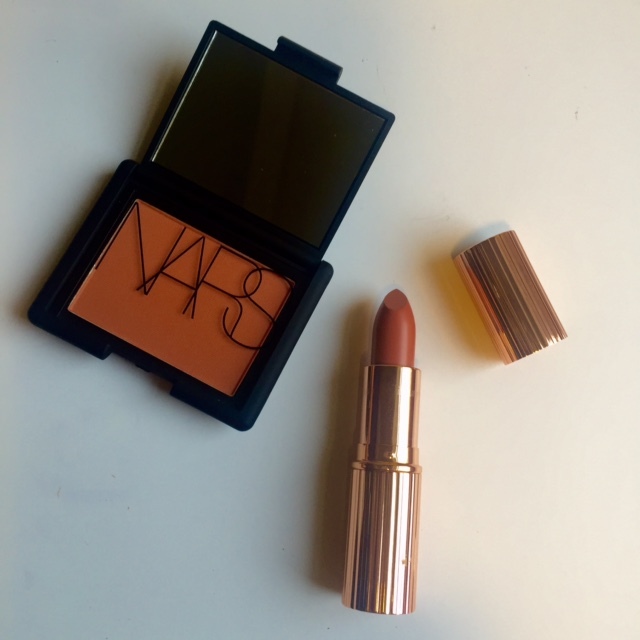 The best little find in this bag of delight was this amazing lipstick from Charlotte Tilbury! I have never tried any products from their before so I was unbelievably excited to receive this so Thank you so so much Selfridges. 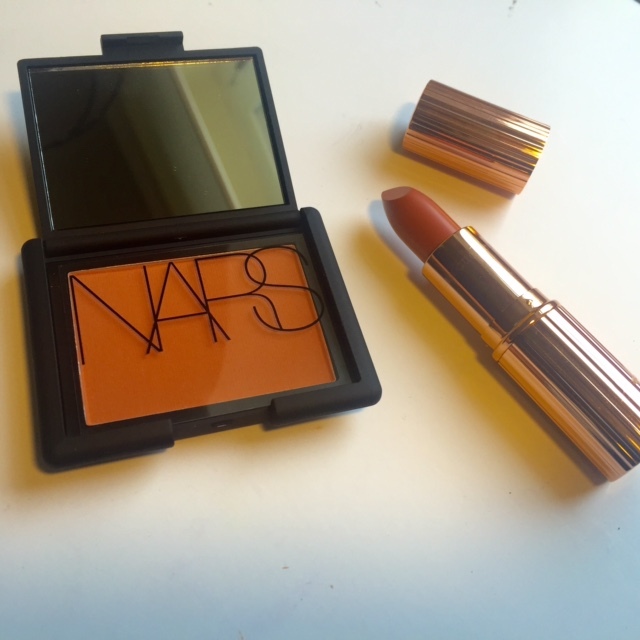 I love it, the formulation and colour is beautiful and I already can not wait to purchase another. Thank you so much once again to Selfridges and the Lovely personal shopper Charlotte ! I can not wait to come along again.